The time of the new rulers. 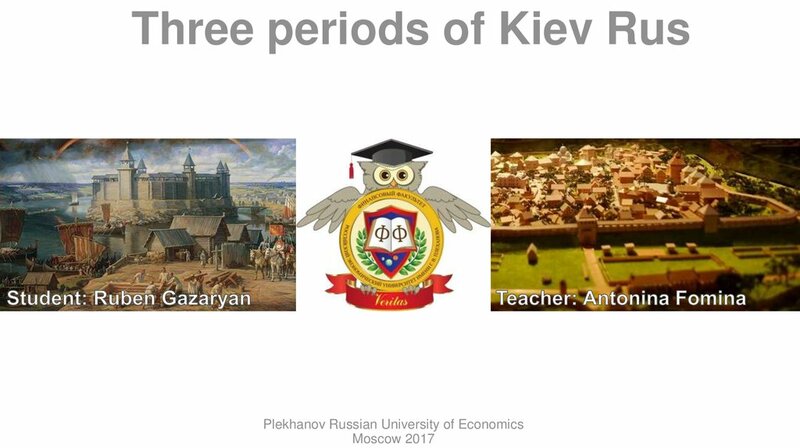 The Golden age of Kievan Rus. 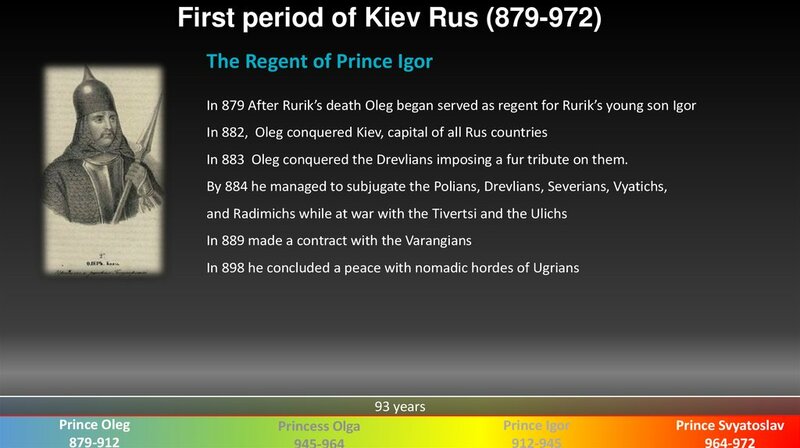 In 883 Oleg conquered the Drevlians imposing a fur tribute on them. 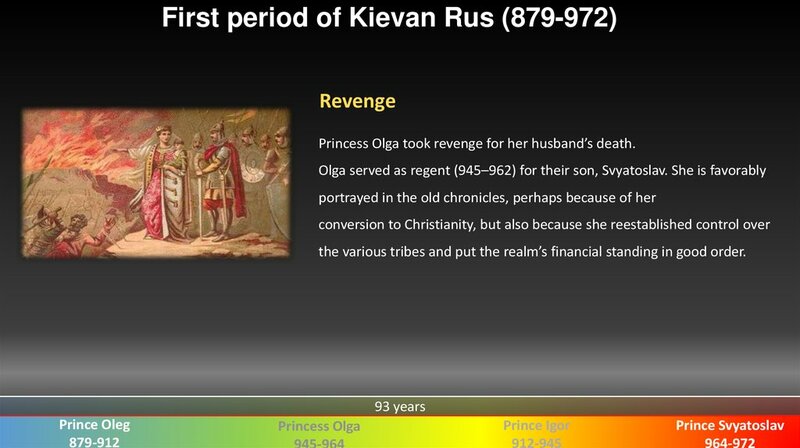 Princess Olga took revenge for her husband’s death. the various tribes and put the realm’s financial standing in good order. 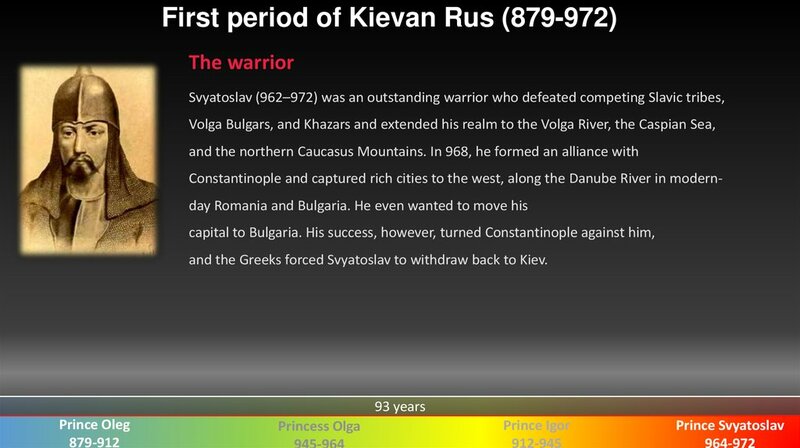 and the Greeks forced Svyatoslav to withdraw back to Kiev. 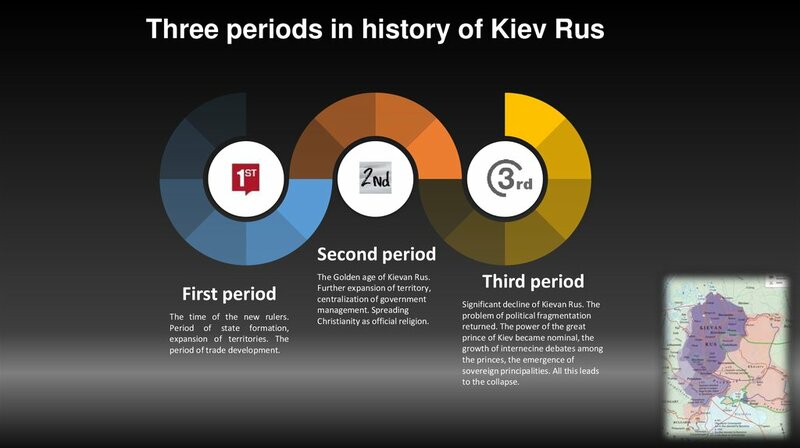 epoch in the history of Rus. 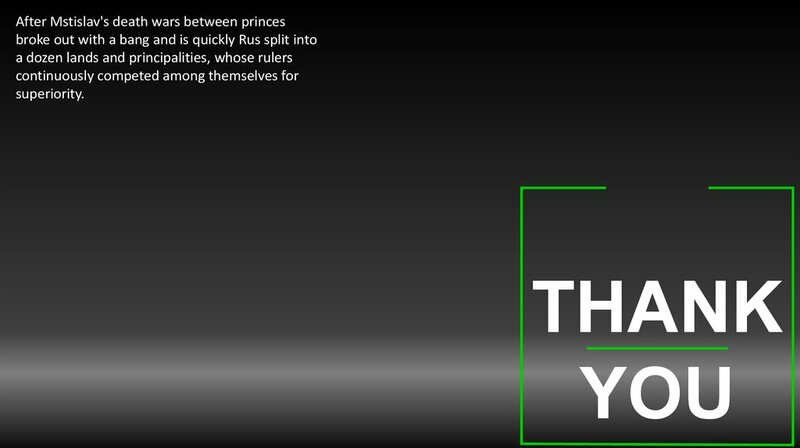 Internal conflict among the members of the Rurik’s dynasty ended. to become, territorially, the largest state in Europe. Christianity as a state religion since 988. 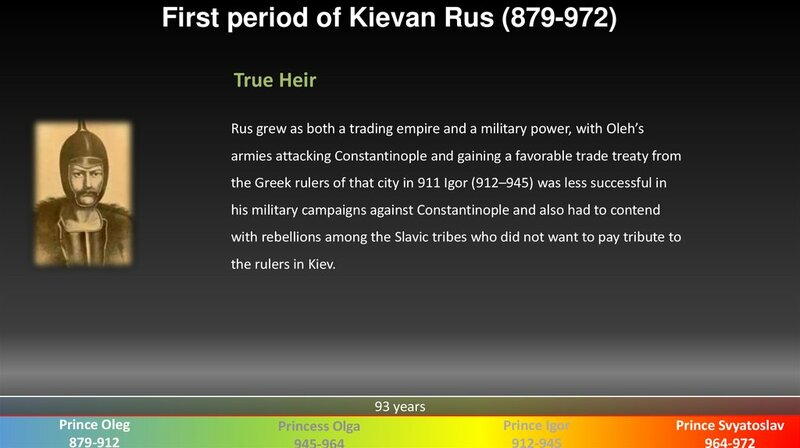 Yaroslav became the sole ruler of Rus and moved to Kiev to assume the throne. 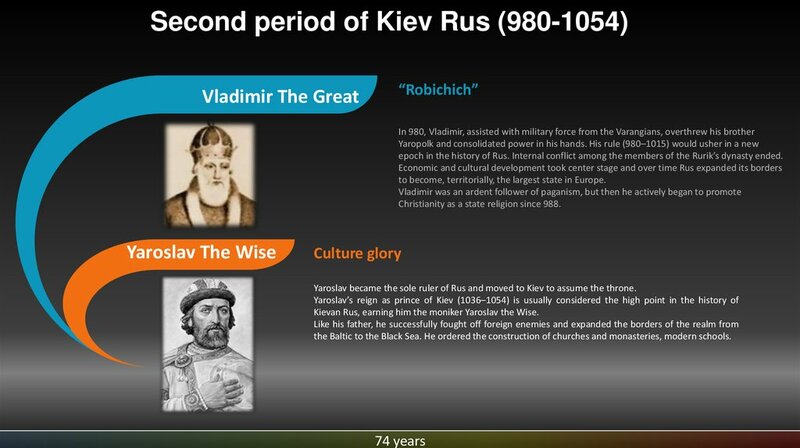 Kievan Rus, earning him the moniker Yaroslav the Wise. the Baltic to the Black Sea. He ordered the construction of churches and monasteries, modern schools. 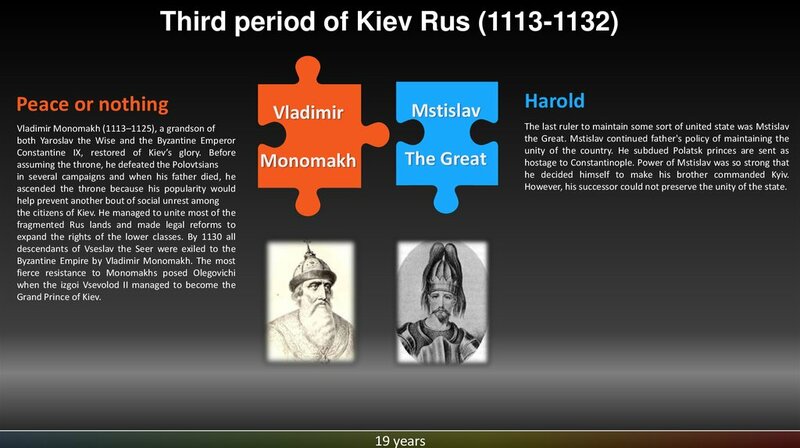 he decided himself to make his brother commanded Kyiv. However, his successor could not preserve the unity of the state.